Chuan Ding is a landscape designer at AHBE Landscape Architects and has a playful way of sketching what she sees. Chuan draws on anything she can find. All photos by Jenni Zell. I began sketching when I was really young. One of my earliest memories is of my dad; he was an oil painter and would leave his unfinished canvases on easels around the house. One time I took his brushes and painted on top of one of his paintings. He still has it. Chuan works out design details for a project. Were you always drawing on your notebooks in school? I drew a lot in kindergarten and elementary school, but quit drawing in high school because I spent so much time studying that I did not have time to draw. When I went to college in China, I started drawing again because we were required to for school. I went to Nanjing Forestry University and we were trained to draw classic Chinese landscape scenes with lots of decorative patterns. The sketches were very formal and took many hours to make. We did not use computer programs for technical drafting or drawing through our third year. Our end of studio exams were about 4-6 hours long and all our plans, details, bird’s-eye-views, and perspectives were hand drawn. I am sure the process was quite different when you went to USC for graduate school? At USC I only sketched when I was thinking through an initial concept. Most of the time I used the computer for drawing. Chuan’s June Post-it note calendar. Do you sketch now during the design process? I always like to start with a sketch and then put it into CAD. I have my own style – loose and fast – and it helps me to think through ideas and organize my thoughts. Sometimes I don’t have an idea and I start drawing. At the beginning, it may not have any meaning, but eventually a shape will emerge and I can develop that idea. How do you find time to draw? Drawing is a stress release for me and I began sketching in meetings. I started sketching more when I burned out my hard drive at work and the spinning wheel would come up on my computer after opening Illustrator or other drawing programs. I made use of the time by sketching. I also sketch at home. If I am watching a movie and I see a nice composition, I will take a screen shot and then copy it by drawing the scene. Chuan’s July Post-it not calendar. I knew you were talented at computer drawing because we work on projects together, but I didn’t know you were also talented at hand drawing until I noticed your Post-it note calendar in your work space. Tell me about your calendar? I try to find something special, or fun about every day and I spend 10 minutes making a sketch about what I discover. Drawing is a way to express myself and if I find something inspiring, or fun, I sketch it and put in my calendar. Do you think you will keep producing your calendar every month? That is the plan for now. Interview conducted and condensed by Jenni Zell. Landscape architects are often challenged to add “context” to our design projects, to show the existing road network and buildings surrounding the site. And in 3D. Yet often we lack the time, budget, or knowledge to integrate the modeling process as an efficient and accurate task. In this post we will discuss three different tools that can help professionals achieve quality results with nominal investment and effort. Urban planning and major landscape architecture projects often include the necessity to show realistic scenarios, creating a context for the proposed solution within an existing environment. Thus, depending upon the project, variations will occur from time to time in terms of scale and level of detail. The following workflows have the ability to cover massive schematic-looking surroundings, from 2-3 blocks, to an entire district or town. The first tool is ESRI City Engine, a program that allows users to generate or download entire 3D cities out of 2D GIS datasets. Depending on the level of detail and flexibility desired, CityEngine ranges from $500 (Basic) to $4,000 (Advanced), and the export formats range widely (not to mention that it is also compatible with Lumion). However, if quick and simple solutions are desired, then Lumion’s newest version is recommended. Using data from OpenStreetMaps, Lumion offers an option that allows users to place a model into any context. This operation is practically the inverse of Google Earth’s KMZ exports, where models are loaded into Google Earth. Here the context comes to the user, plus it can be rendered. Since this is only a beta version, there are currently some limitations regarding the site’s footprint and its appearance in relation to the context. Nonetheless, we can be sure that this tool carries promise, and it will continue evolving into the near future. Lumion Pro costs about $3,400, and only the Pro version offers the features noted above. A good balance between the last two options with an economic price tag is the Sketchup plug-in, SU Placemaker. Sketchup’s user-friendly interface, alongside this plug-in can facilitate the integration of 3D environments into the site without requiring a lot of file formatting conversions. Without the need for extra software, SU Placemaker can be acquired for the affordable price of $200, and the software developers recommend users to try before they buy!. All of the above-mentioned options can be combined with other technologies like virtual reality, augmented reality and 3D printing, helping harken in a new era where architectural projects can be transformed into different and innovative experiences for both designer and clients. We live in Eagle Rock. It gets hot. 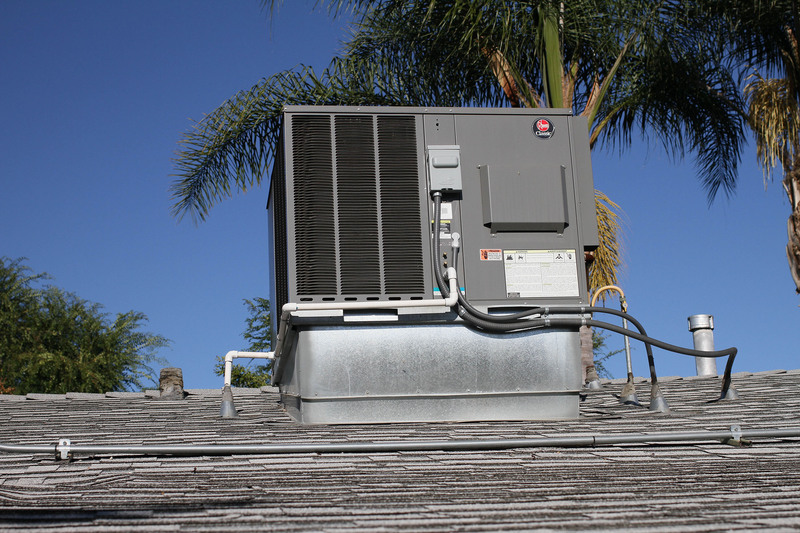 A couple of years ago, we decided to make the plunge and install central air in our little 1922 bungalow. 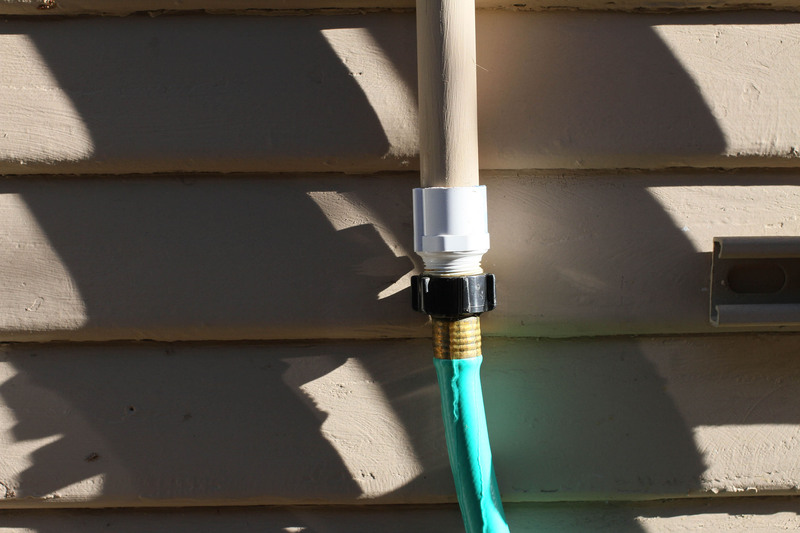 When the unit was being installed – on our roof, no less (thank you, narrow residential lot) – I noticed a PVC line being routed along the roof and down the side of the house: for drainage of air conditioning condensate. Note the PVC line running out of the lower left of the package unit. I began to notice just how much water was being generated…and discharged into the dirt. This water begged to be captured. 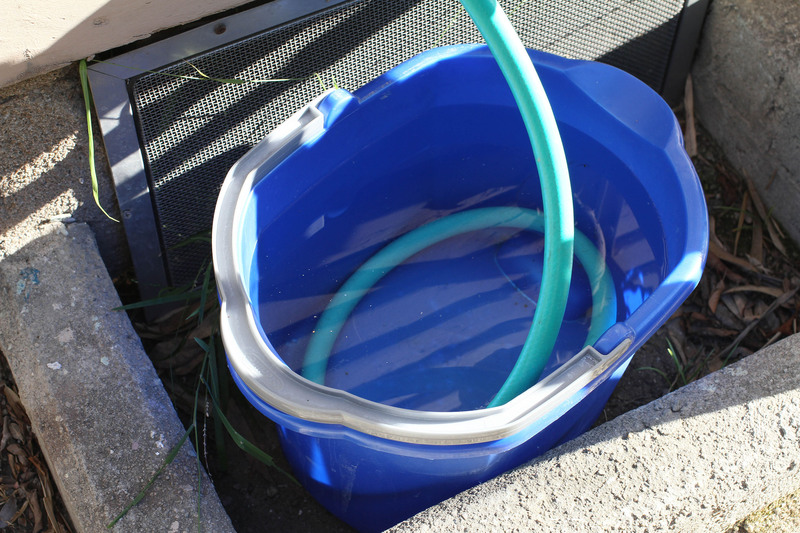 The solution was simple: I cut the PVC line, attached a threaded fitting, and ran a super-short hose into a bucket. 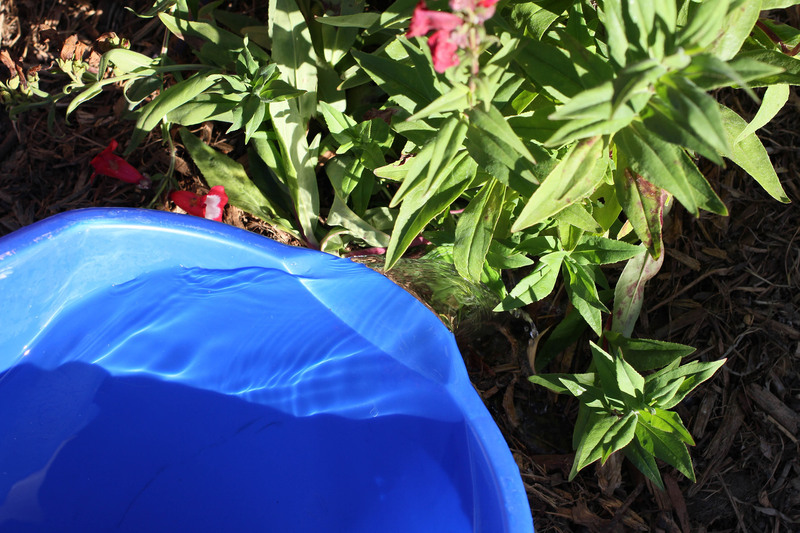 On a warm summer evening, as our 1,400-square-foot house cools down, the 4-gallon bucket fills up in less than an hour! In the morning we pour the contents to water our lemon trees. For less than the cost of a cold-pressed kale/banana/ginger juice, you can buy these parts. This represents 45 minutes of air conditioner condensate on a warm July afternoon. Plants need to stay cool, too. In a few months, I’ll let you know if the lemons have a peculiar aftertaste. *This of course begs the question: is air conditioner water sanitary? Jim Hellinger joined the team at AHBE Landscape Architects in the summer of 2014. In this video, Jim shares his thoughts on what makes for an interesting project, the use of native plant material, and what he would need to survive on the desert island.